In what other game can you have Homer driving down the yellow brick road in the bat-mobile? The answer is LEGO Dimensions. 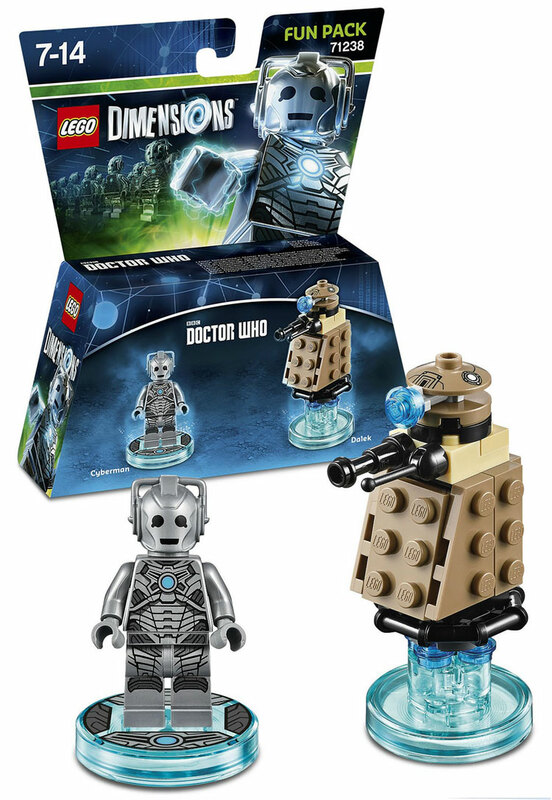 The Lego brick themed multiverse spanning game is constantly expanding and with the most recent additions you can now explore the worlds of the children’s favorite Adventure Time, the generational favorite Dr Who,and the TV classic The Simpsons Springfield to name a few. Sets are broken down into a few different categories, the predominant one being levels. With the download of an update to your game and the usage of figures from that particular universe, the level is unlocked. Simpsons brings your characters into Springfield to solve various quests and requests by locals as well as the collection of various items to complete the level to 100%. There are playable levels as well as free play modes where you can just go exploring to find all the nooks and crannies put in the game. I guarantee as a fan you will find something that will put a huge smile on your face no matter which level pack you play. Have you ever taken your kids on a holiday train ride? 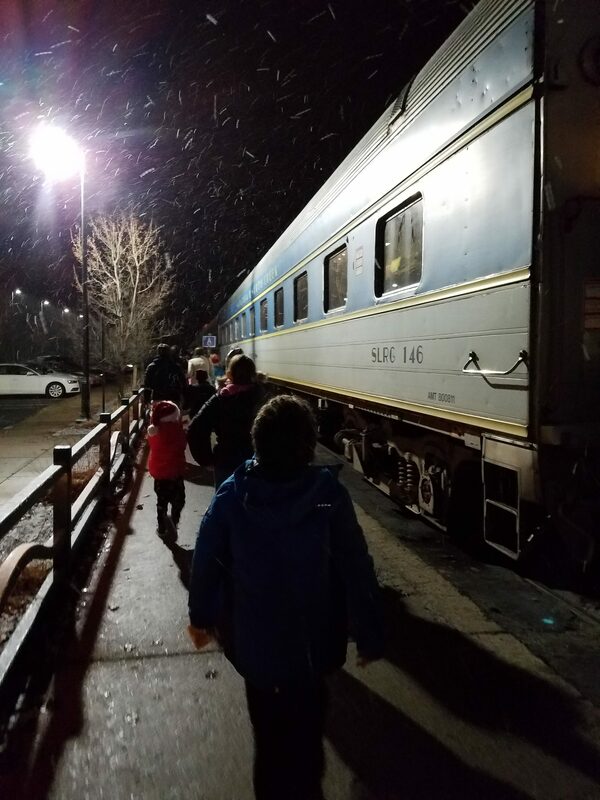 This year, we took ours to the The Saratoga & North Creek Railway THE POLAR EXPRESS™ Train Ride. The magical story comes to life when the train departs Saratoga Springs for a one hour round-trip journey to the North Pole. It’s an adorable way to celebrate the season (and if the kids have not seen the movie or read the book yet, make sure they do before you head out). 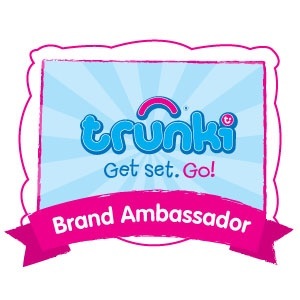 Make sure you wear your PJ’s for this ride! Set to the sounds of the motion picture soundtrack, passengers will relive the magic of the story as they are whisked away on THE POLAR EXPRESS™ Train Ride. Once onboard, cheerful, dancing chefs serve passengers hot chocolate and cookies while they read along with the classic children’s book, The Polar Express, by Chris Van Allsburg. Santa and his helpers greet passengers at the North Pole and then board the train, where each child is given the first gift of Christmas – a silver sleigh bell. Chefs aboard each car lead passengers in singing Christmas carols on the ride back to Saratoga Springs. 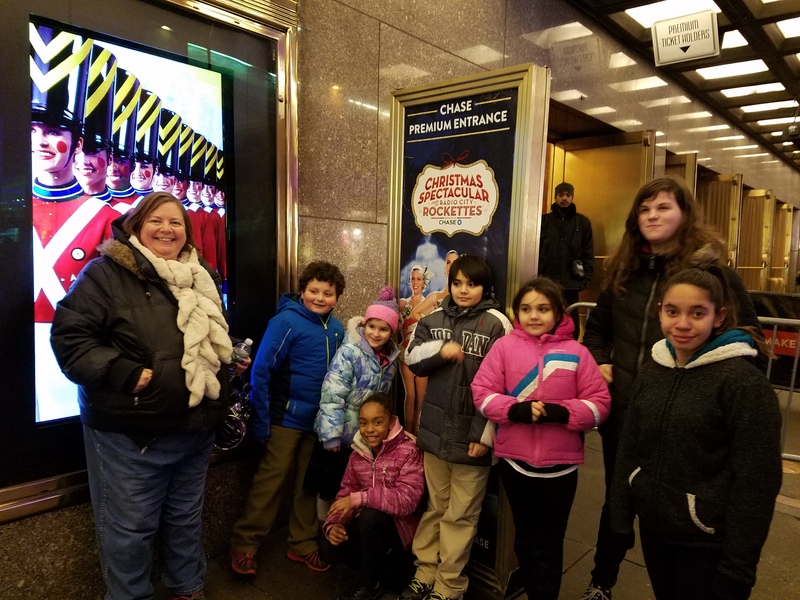 This past week, we went into New York City to see the The Radio City Christmas Spectacular. It’s one of those things that you need to do at least once in your life, if not more often (if you are close enough that you are able). Running through Jan.2, 2017, you and your family and friends can go see one of NYC’s iconic show’s (and some of the world’s most iconic dancers) to really get the holiday season started. 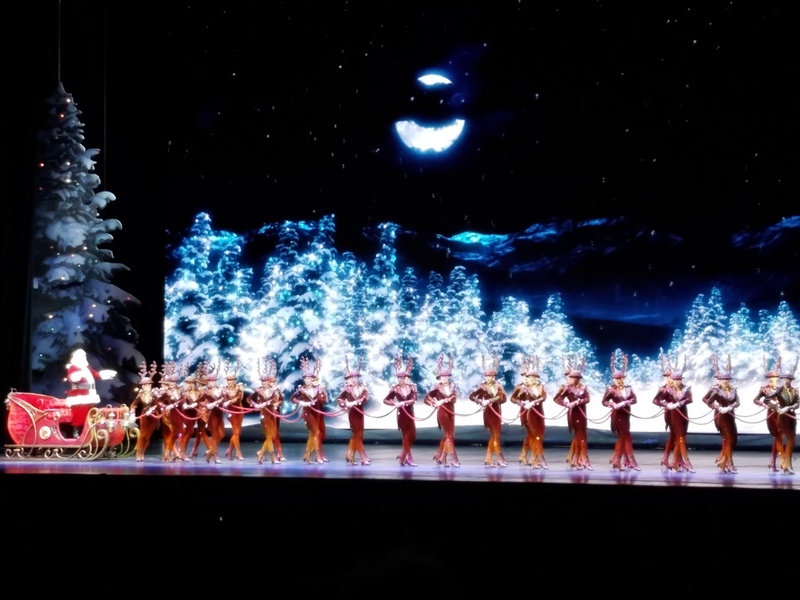 The Rockettes have been performing at Radio City since 1932, and during the Christmas season they preform 7 days a week. The Rockettes also perform every year at the Macy’s Thanksgiving Day Parade in NYC and America’s Thanksgiving Parade in Detroit. They also lit the Empire State Building red and green for Christmas. Gotta love those hard-working ladies! The kids were enthralled- my son’s favorite scenes were the Rockette- reindeer pulling Santa’s sleigh, the many dancing Santa’s, and the Radio City version of “The Nutcracker”, with teddy bears. He loved the surprise streamers and snow that fell on the audience as well. We all enjoyed the ending, the true meaning of Christmas. It was a beautifully done “walk” by the 3 Wise Men and their entourage, as well as live animals, as they went to pay tribute to the new born King. At the end, traditional hymns and Christmas songs were sung and the whole group was in front of the Baby Jesus, Mary, and Joseph. What is an interesting way to get your whole family into the role playing game genre while still keeping the little ones excited about open world sand box style gaming, in the same vein as Minecraft? The answer is the new Dragon Quest Builders game where you play a hero who must rebuild a destroyed kingdom, block by block castle by castle, city by city. This may sound like a daunting task, but for those of us with a creative mind and a builder’s spirit, it is within reach. The story is that there was a great battle generations ago, and after such, a hero was tricked into joining forces with a great evil. The evil Dragon lord took away mankind’s ability to build and imagine, scattering the remains of humanity across the planet. Your job to rekindle this builder’s spirit and imagination with the help of the Goddess at your side, as well as your own imagination. The game itself is huge and wide open, able to be explored and built or broken down at will. 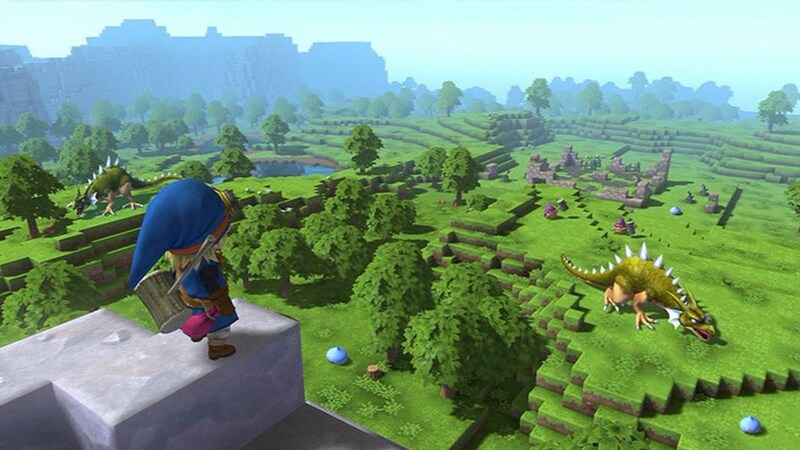 There are familiar characters from the Dragon Quest series including Slimes and Dragons, and a familiar art style similar to previous iterations of the Dragon Quest series, with an anime feel instead of the block-y computer graphics of Minecraft. 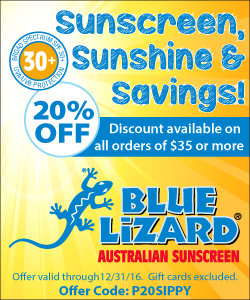 Is your child begging for a new pet this year, but you don’t want something else to clean up after? Look no further- we’ve found an array of low-maintenance pets for your holiday gift giving. 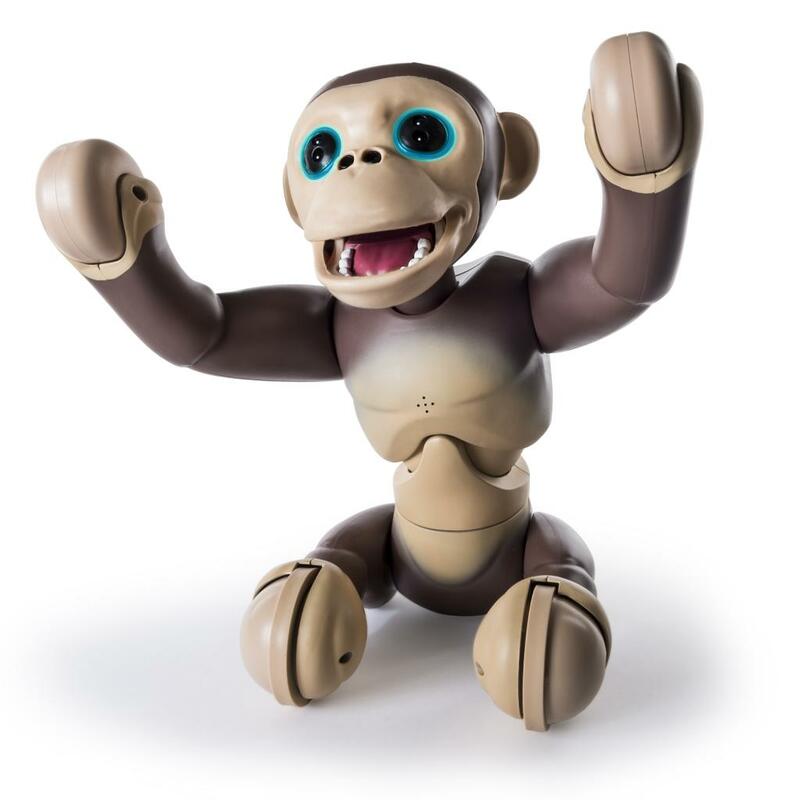 Zoomer Chimp is one of the latest in the line of Zoomer robotic pet toys. He has a lot of ?moves” to him, and can move on all fours as well as standing up on two legs. He can be taught to follow you, to “Chimp Talk” (repeat what you say), can be taught new words as you play with and train him, knows 10 commands (watch what happens when you tell him to “go bananas!) 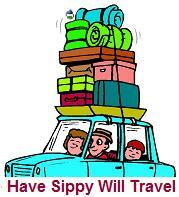 and will let you know how he is feeling by the color of his eyes and facial features. Zoomer Chimp makes a lot of sounds as well, and has “progressive play” built in so he doesn’t always move the same way. His wiggles and dances are adorable and funny, which will make him a hit with kids (and dad, too). He needs 3 AAA batteries and 1 LiPo battery, and requires wall adapter to charge (not included). 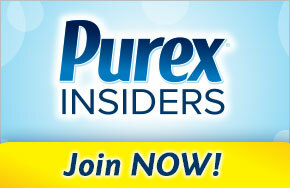 Prices vary – I’ve seen everything from $69-$110, so look around before you make a purchase. Zoomer also put out the adorable and fluffy Hedgiez this year. They come in several colors, including blue (so boys won’t feel left out- my son adores his). He (or she) does tricks, rolls around, and likes to play with you, as well as cuddles up and giggles. 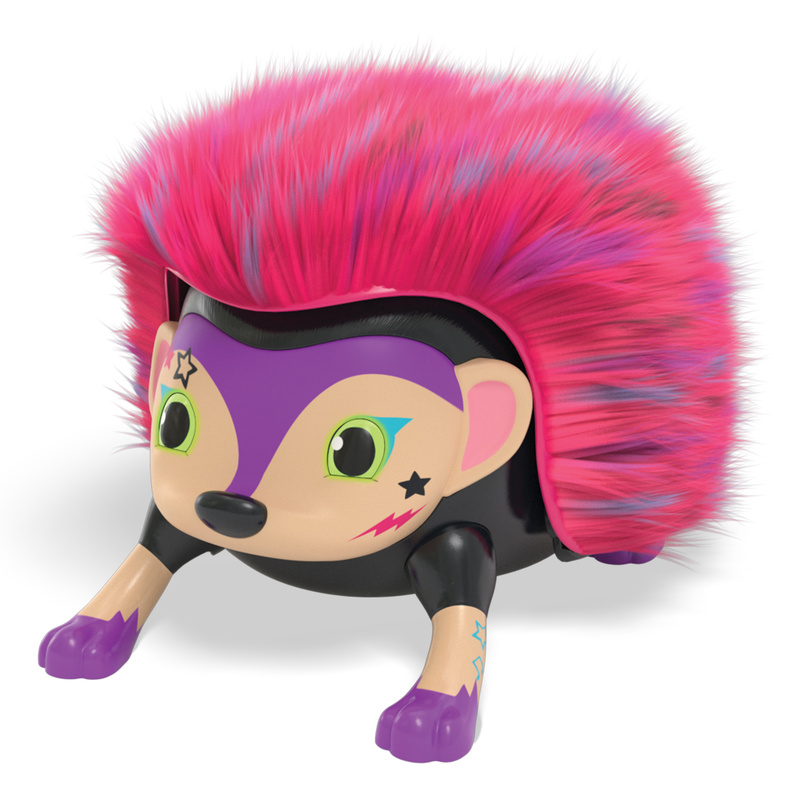 It’s a quieter toy then some robot pets, since hedgehogs are not known for wild parties, I assume. Mom and dad will love that. The fur is soft, not plastic, and can be brushed or styled with the included comb. It will curl up when tickled (very cute) and blow you kisses. It comes with stickers as well, which is always a bonus. Hedgiez requires four AAA batteries (not included). Prices seem to vary pretty wildly here as well- from $18-$40, depending on retailer and what sale is going on- do your homework when you buy (’tis the season!). Chubby Puppies and Friends are very cute and affordable. They have been around for a little while, but they just keep getting better. They have added all sorts of animals to the original dogs (and there are a lot of dogs to pick from as well), such as bunnies, horses, pandas, all kinds of cats, and more. Some even have their own babies in the same pack (Mommy or Daddy and baby animal of choice sets) which delights my son and all children who like cute things or to play “baby” or house or….play. 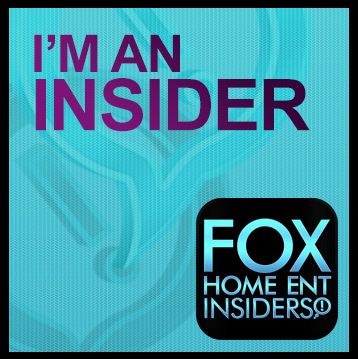 So, you know. All kids. Some sets come with “fashion sets” like a carrying bag for the pup and accessories like sunglasses, bows, etc, and there are playsets available as well (dog park, fashion runway, etc). 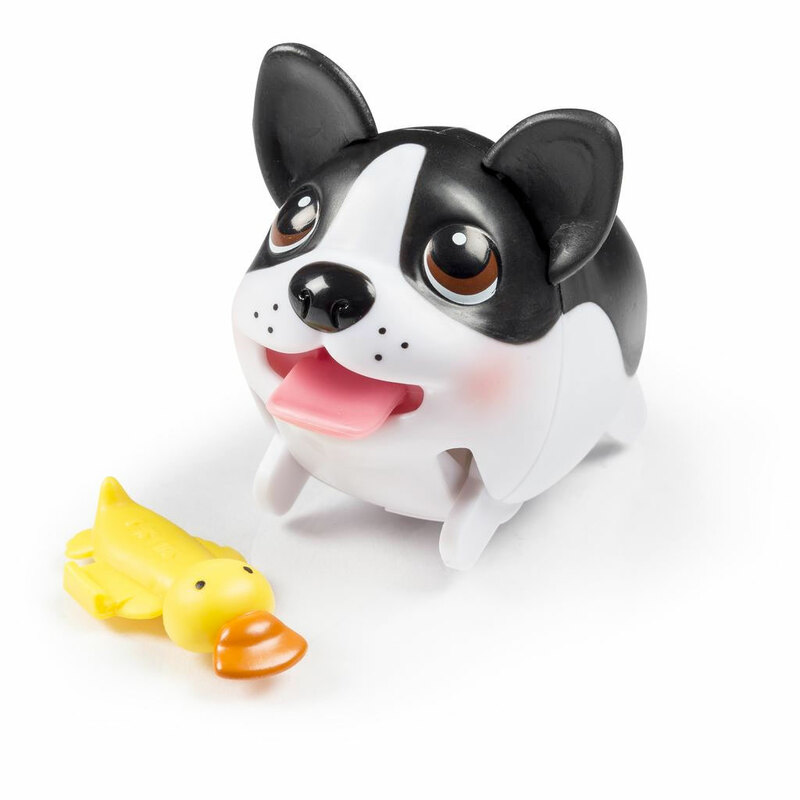 The pets walk, hop, waddle by battery operated power. Each pet needs it’s (included) 1 AAA battery. Prices start at around $7.99 per pet, more for fashion sets and play sets. It’s official – the holidays are upon us. The demands on your time seem to have tripled since Thanksgiving, and you’re desperate to find the perfect gift or stocking stuffer for the favorite women in your life, that they can in turn share with their families. It’s got to be original and fun, but useful too, and it can’t break the bank. A social good component would also be great. And it should be made out of iron. OK, maybe that last bit wasn’t on your list of must-haves, but if you think about it, most of us can stand to use an extra dose of iron as part of our daily diet. As many as 3.5 billion people worldwide, women and children in particular, are affected by iron deficiency, which can result in weakness, dizziness, impaired cognition, and increased risk of illness, and ultimately lead to anemia. The holidays bring out all kinds of fancy and innovative new lighting and decorating techniques. The most recent are the laser lights which bring lights onto your home without actually having to put up lights one by one. Instead, a projector is set up and lights burst forth onto your home no matter the size with a full light display. some displays are of one or two colors and most are stationary or not moving. But some move and some even have a holiday themes and one in particular is a licensed product, to go along with the holiday favorite movie, A Christmas Story. 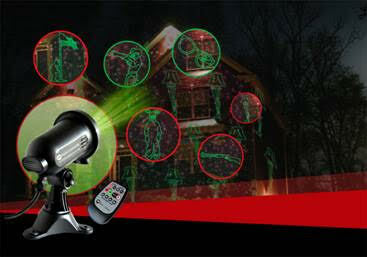 This outdoor laser light projector gives you two colors – red and green- with swirling spinning patterns of ornament shapes and bursts of color. In addition to these basic designs, there are also classic items from the movie, including the leg lamp, Ralphie in a bunny costume, the crate for the leg lamp, the “shoot your eye out” scene, broken glasses, Ralphie and his BB gun, and Ralphie’s friend Flick with his tongue stuck to a flag pole. Each design is easy to recognize and simple, perfect to be projected on your home. It’s different and funny! This projector is perfect for fans of the movie, or someone just trying to find a unique and different way to decorate their home this year. The colors are bright, and set up is a breeze. Also to note, the projector can be set up with a timer with the rest of your Christmas lights to make for worry free holiday lighting night after night. 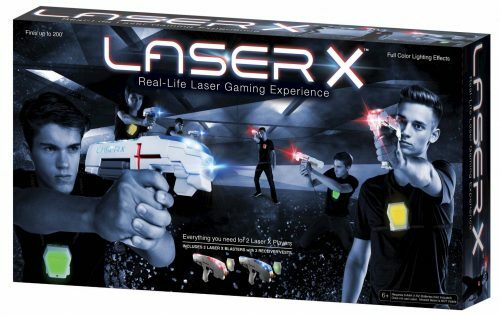 Laser X is a new laser tag toy that is affordable and can be played inside or outside by kids or adults. Laser x can be played by an unlimited amount of people and allows flexibility for team challenges or a full out rogue laser battle. The Laser X can kick your family’s game of hide-and-seek up a notch and add a competitive edge that makes it more fun. The typical laser tag session in a professional facility is about $8 per person per game, while others charge for timed sessions. So, a single two-player game of laser tag could cost you about $16. With Laser X’s two player set carrying a $50 price tag, and the one player set even less, that is about the cost of three laser tag sessions, and with Laser X you can play all day, as many days as you want. Truth be told, initially, I wasn’t really sure what to expect with these laser tag sets. I have seen laser tag sets previously that just didn’t live up to the hype. I am happy to say that I was pleasantly surprised this time! These are much more durable and tough than I anticipated and have no signs of stopping anytime soon. We got this set, and the 2 piece set for our kids – who love laser tag.